Our history, in a nutshell. 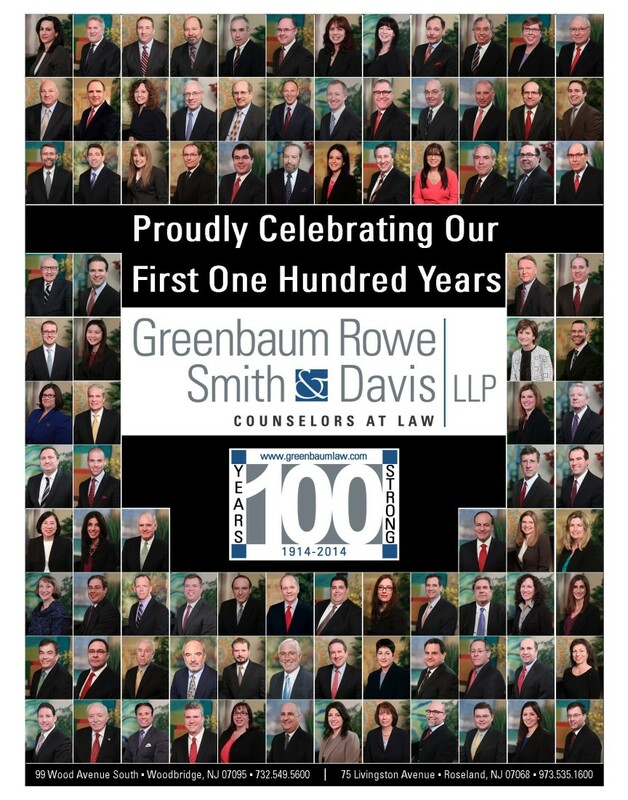 In 2014, Greenbaum, Rowe, Smith & Davis celebrated its centennial anniversary as a leading presence in the New Jersey legal arena. As we enter our second century, our firm is comprised of approximately 100 lawyers who are dedicated to helping clients accomplish their goals. Our practice was founded in 1914 by William L. Greenbaum, a self-made success and entrepreneur who received his law degree from New Jersey Law School, a predecessor of Rutgers School of Law - Newark. “WL” established and built his solo practice in his hometown of Newark, representing local business owners, trade associations, building and loan associations, as well as friends, neighbors and individuals in the community. WL was dedicated to his work and took great pride in his growing law practice. In time, he married and became the father of two sons, Robert and Arthur, who were raised with a solid appreciation for the value of hard work and an unwavering sense of fairness. Ultimately, both sons took an interest in following in their father’s professional footsteps. Following his service in the Navy during WWII, Robert S. Greenbaum received his law degree from Columbia Law School in 1948 and joined his father’s practice the following year. Arthur M. Greenbaum earned his J.D. at Rutgers Law School in Newark, joining the family practice in 1950. At the time, WL was a principal in a small FHA mortgage company. Robert and Arthur assumed responsibility for overseeing the company’s operations, enabling the brothers to meet and cultivate relationships with builders, brokers, bankers and other professionals involved in real estate development. The Greenbaum firm had stepped firmly into the world of New Jersey real estate, and throughout the 1950s, father and sons continued to grow the family business, adding all manner of real estate transactions to the firm’s general business law and litigation practice. 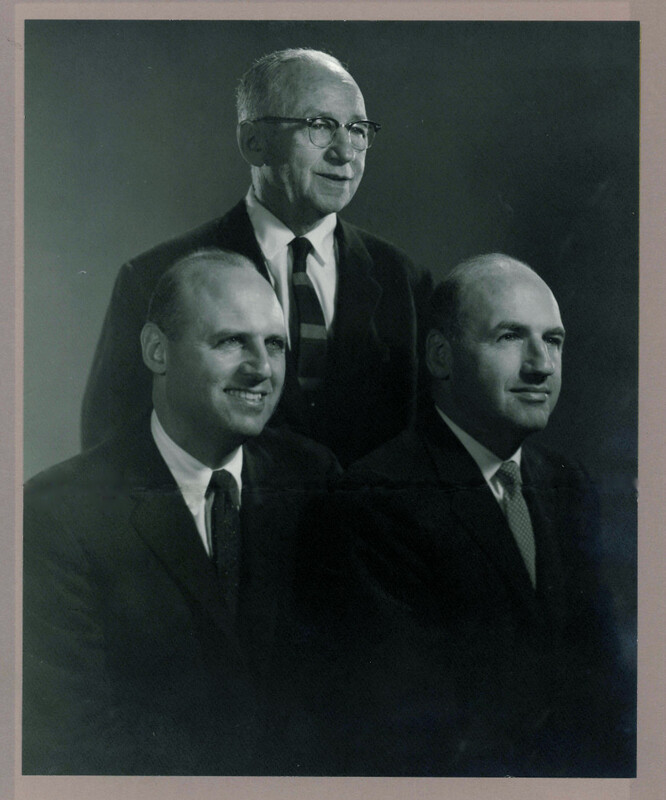 In 1962, a gifted young lawyer named Paul A. Rowe joined what was then a five-attorney firm. A recent graduate of Columbia Law School, he quickly proved to be an indispensable asset, and soon became a partner. 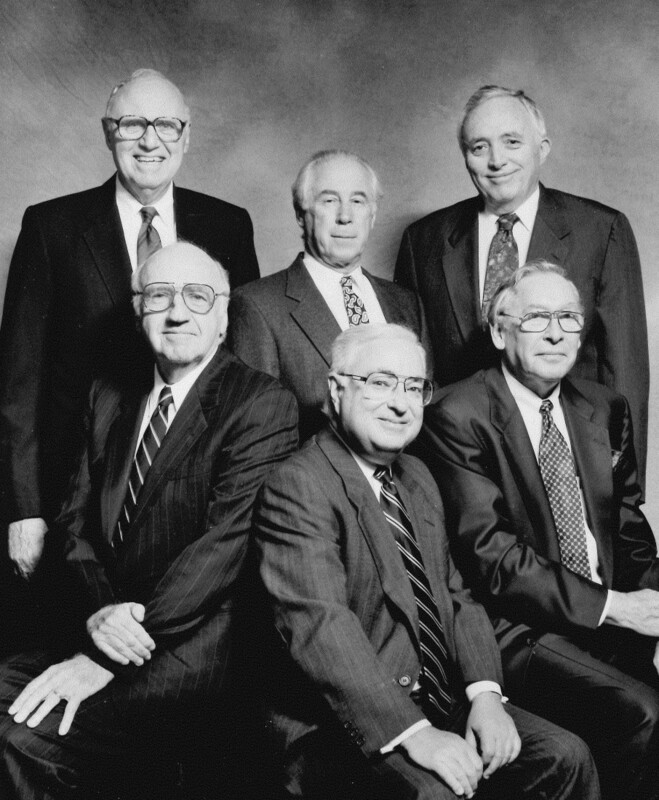 Driven by Paul’s ability to win cases, coupled with the Greenbaums’ ever-increasing prominence within the real estate sector, the firm flourished in the 1960s, moving from Newark to Woodbridge towards the end of the decade. Throughout the years, in order to meet the needs of an ever-expanding and increasingly diverse client base, the firm continued to grow and prosper, eventually moving to its current location in the Woodbridge/Iselin Metropark complex and opening a second office in Roseland. During the 1970s, 1980s and 1990s, owing in part to strategic mergers with Ravin, Davis & Sweet (1984) and Mackenzie, Welt, Maher, North & Weeks (1996), dozens of preeminent and highly qualified lawyers joined our ranks, including name partners Wendell A. Smith and Alan E. Davis, as well as current co-managing partners W. Raymond Felton and Mark H. Sobel. The organic, need-based growth that significantly broadened the firm’s legal offerings in the areas of litigation, corporate law, tax and estate work, land use and real estate, and environmental law also included the additions of attorneys from Dollinger & Dollinger (2003) and Farer Fersko (2012). Moving into the present day, the firm has continued to evolve and meet the needs of its clients, with full service Departments in seven key practice areas - Litigation, Corporate, Real Estate, Redevelopment & Land Use, Environmental, Family Law and Tax, Trusts & Estates - and the establishment of a presence in midtown Manhattan. We’ve come a long way since our humble beginnings in Newark, but not so far as to forget our roots. Our top priority remains the success of our clients. With 100 years of history and experience behind us, we stand ready to face the next century.